Learning Improvisation Technique begins with immediate training in how to improvise. Book’s fundamental principle of improvisation is “Acting is doing, and there is always more to do.” The actor learns what to do to keep himself in a spontaneous improvisational state. This Improvisation Technique is then expanded to exercises with scripted lines, developing sophisticated improvisation skills for enhancing character, emotions, conflict, and agreement, as well as improving the actor’s audition process. Improvisation Technique also includes a unique process for breaking down scripted scenes into improvisation choices. 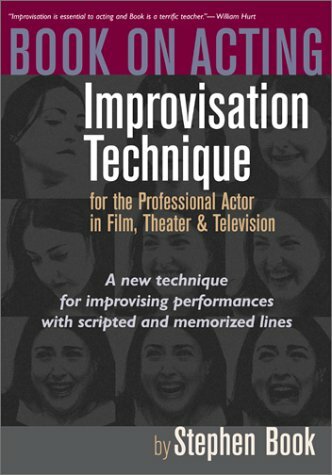 The manual or text-book of Improvisation Technique is Stephen Book’s Book on Acting: Improvisation Technique for the Professional Actor in Film, Theater, & Television (Silman-James Press, 2003).